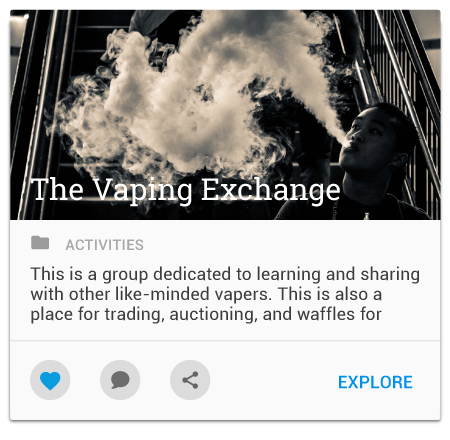 Vapeix Social is a community that gives you a fresh way to connect with vapers, keep up with trends, follow the latest events, share stats, support others, and so much more. 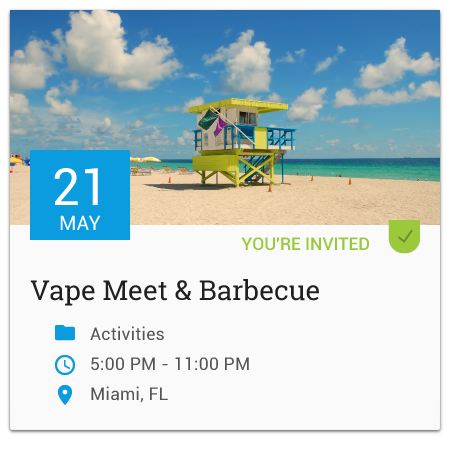 We are consumers, innovative businesses, Vapeix partners, and regular people just looking to vape and hang out! 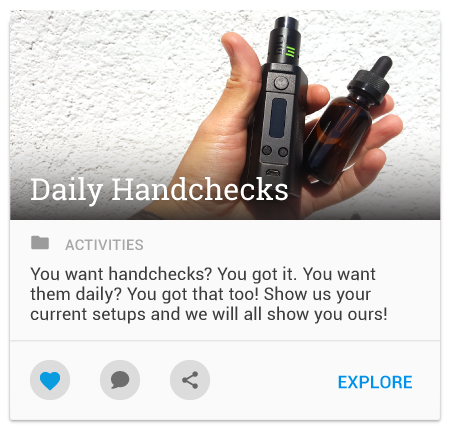 We’ve created a familiar platform with valuable tools to support the beginner through the advanced vaper, and the industry. Best of all, it’s completely free to join! 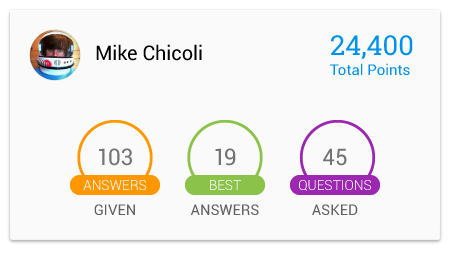 Post Questions, Get Answers & Earn Points. 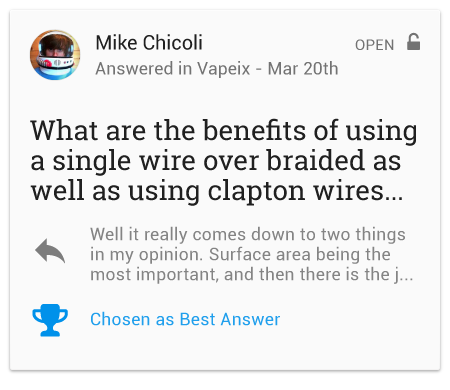 With the familiarity of your favorite forums, our Questions & Answers feature connects you with the entire community for advice, answers, or how-to’s. Have a question? Post it! You’ll get answers in no time. 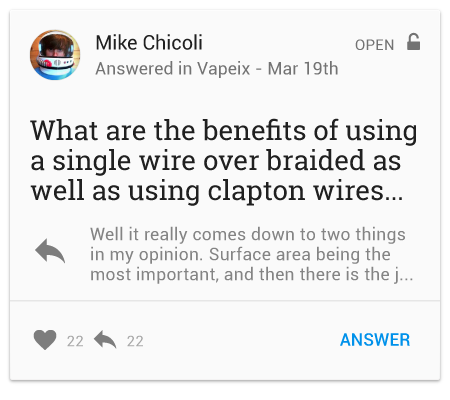 Post about ANY vaporizer, product or brand – it’s that simple. Try it today! Follow, RSVP or Create an Event to Host! Looking for a staff meeting or vape meetup spot? How about a place to just kick back with some good friends? Whether for work or play, anyone can create an event! View upcoming events such as trade shows, meet-ups, parties, or create an event that you would like others to know about. 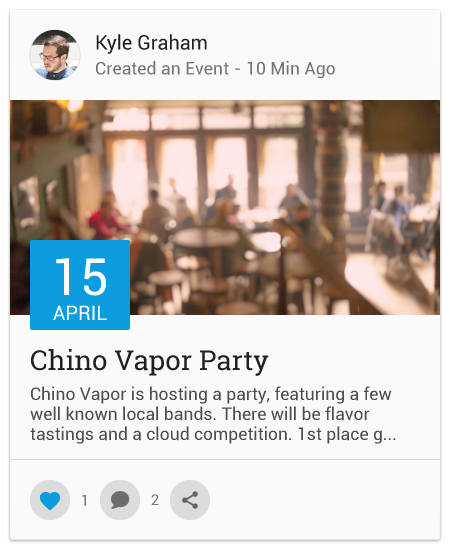 See who’s attending, notify others about events you’re going to, and set reminders so you never miss a beat! Finally, a place to centralize all social engagements! Collaborate in Private or Public Groups! Do you have a favorite topic you’re interested in or want to talk about? 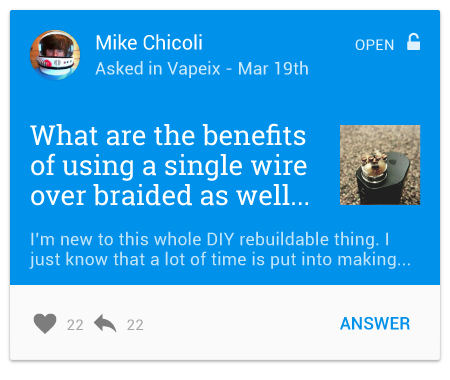 This is a great way to connect with like-minded Vapeix members on the topics you care about! 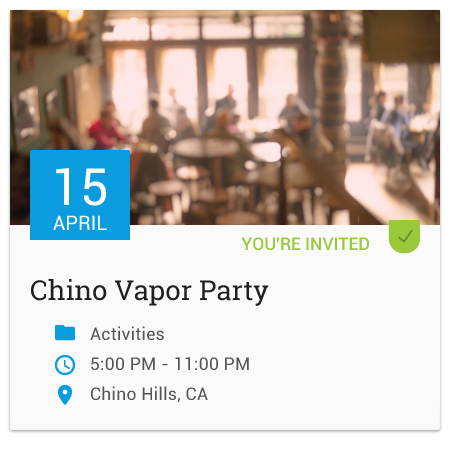 Send invites for your group as an admin, and control the viewing settings to be either private or public. The choice is yours. Start chatting today! With support for over 50 languages, you can interact in real-time using our built-in translation features. With a little help from the Google Translation API, we’ve been able to connect more people in newer, easier ways. Talk to the world in your own language with Vapeix Social Chat rooms and Vapeix Chatter today! 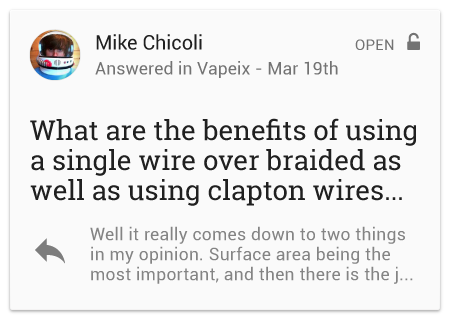 Recognizable features built exclusively for the Vapor Community! 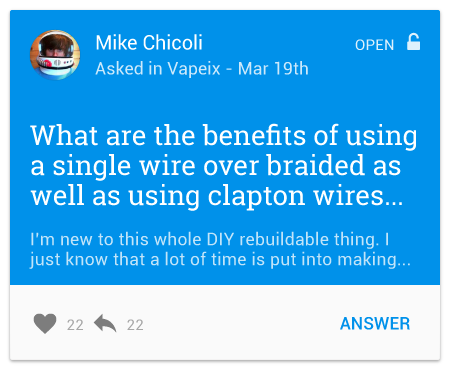 Connect with Members on Vapeix. 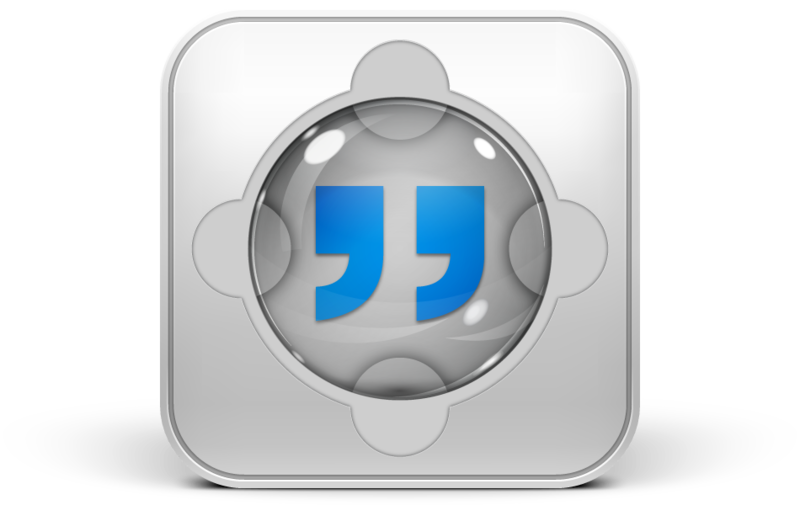 Collaborate in Private or Public Groups. Chat in the Vapeix Lounges. View, Share and Post Photos. 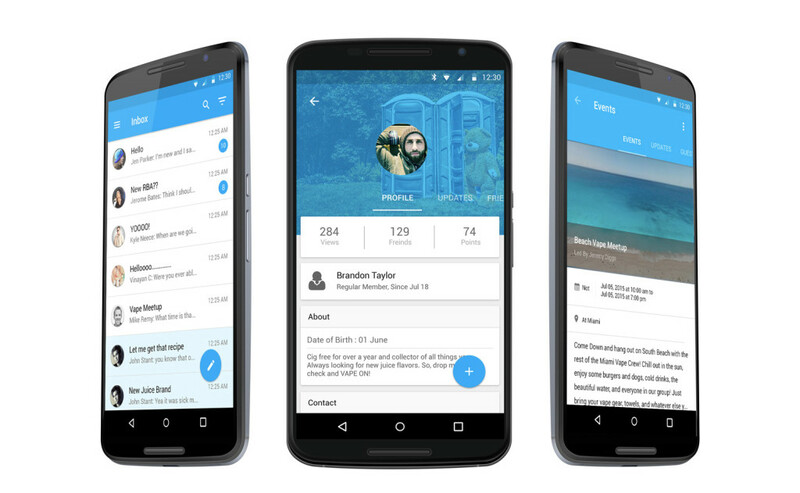 Access the Network with Native Apps. Create your Vapeix account today, it’s easy and free to join!. 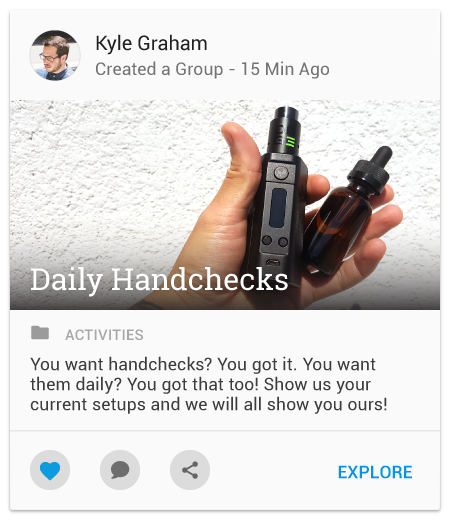 Connect and stay up to date with fellow Vapeix members from anywhere on your smartphone! 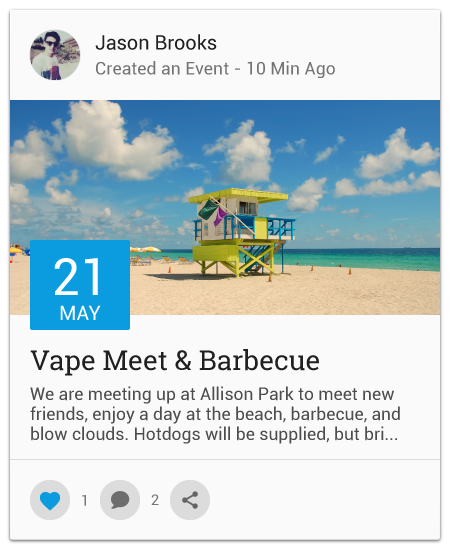 With the native mobile app, it’s easier to share photos and receive push notifications and more. Available for Android now, iOS coming soon. 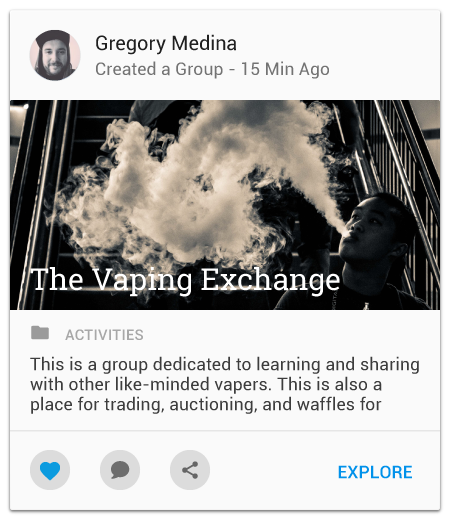 Once you’re signed up with our Vapeix Social App, you can enjoy all of the features from the Vapeix Web Messenger, now on our mobile messenger app! 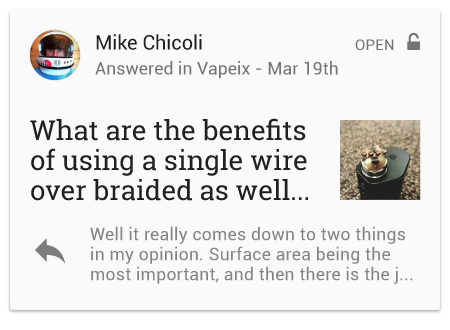 The Vapeix Messenger App is a quick, lightweight chat solution for continuing the conversations conveniently – and you’ll never skip a beat with our built in push notification support. 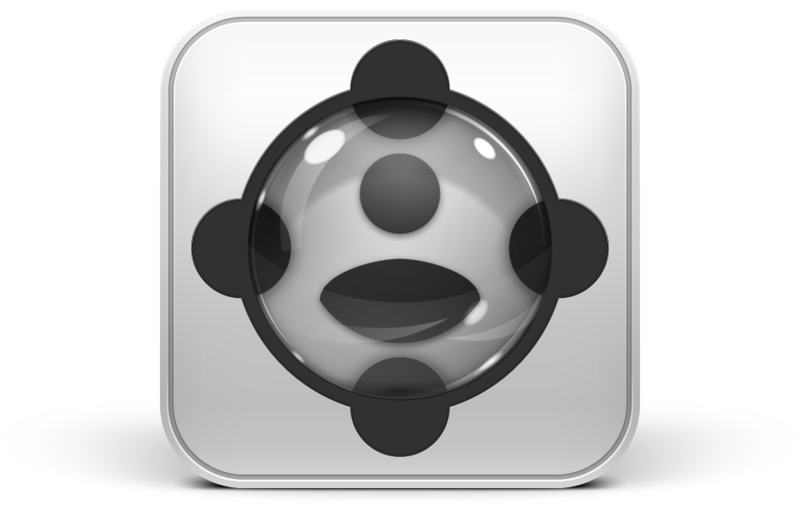 Available now for Android, and desktop versions for Mac & PC. iOS Coming Soon! When your download is complete, extract the .zip (for PC) or .dmg file (for Mac) and run the installer.